Interior Designers know that art brings a WOW factor into any project. Art can make a difference, especially when the art is tailor-made for the project. But where to find custom art for interior design projects? Our artist Ronald Hunter is a master in creating art for design projects. His oeuvre consists of art that easily blends into an interior, or statement pieces that will steal the show. 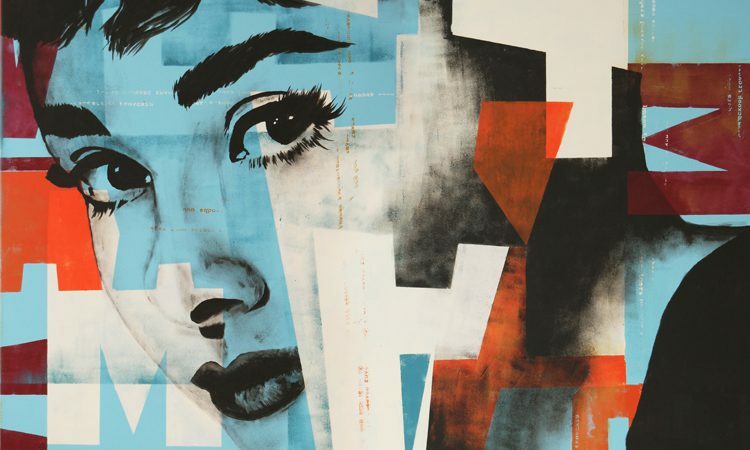 Finding custom art for interior design projects has never been easier. Not only do we have a wide variety of available artworks to choose from. We also have extensive experience in creating custom art for professional projects. Take for instance this Pop Art portrait of Audrey Hepburn (right). 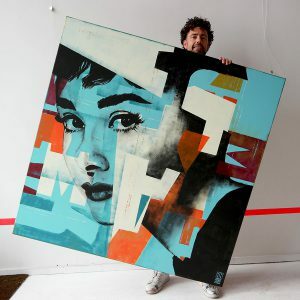 Ronald made this XL painting (150x150cm) for an interior design agency in USA. They were thrilled with the result, and are especially satisfied with the quick turnaround and open communication with Ronald. We are here to offer a hassle-free process. After receiving the design brief (and agreeing on size, style and budget), the team creates a digital sketch within a few days. The sketch gives a clear idea, and is also useful in your client presentation. Upon approval, Ronald Hunter creates the original artworks in 1-2 weeks. Finally, after your 2nd approval, the art is shipped within 5 business days. In any case, your project timeline is leading for us. Not only are we able to deliver to projects around the world. What is more: we offer our clients customized art at interesting rates, and keep our shipping rates low. We are here to accomodate any request to help ensure the success of your project. Get in touch if you are interested in a professional collaboration. We usually respond within a few hours.